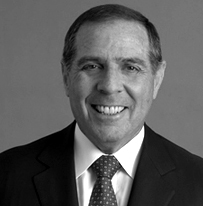 Mr. Cohen is Chairman and CEO of Cowen Group, Inc. Prior to Cowen Group, Mr. Cohen was the founder of Ramius LLC. In 1970, Mr. Cohen joined the firm, which became Shearson Lehman Brothers. In 1973, Mr. Cohen became Assistant to the Chairman of the firm, Sanford Weill, and was involved in all aspects of the firm's activities. In 1978, Mr. Cohen left Shearson for one year to work directly for Edmond Safra at Republic NY Corporation and Trade Development Bank Holdings in Geneva, Switzerland and returned to Shearson in 1979. Shearson merged with American Express in 1981 at which time he became President & Chief Operating Officer and in 1983 Chairman and CEO, a position he held until 1990. In 1991, Mr. Cohen formed Republic New York Securities and Republic Asset Management for Republic National Bank of New York and at the same time commenced the activities around which Ramius was formed in 1994. Over his career he has served on a number of corporate, industry and philanthropic boards, including The New York Stock Exchange, The Federal Reserve International Capital Market Advisory Committee, The Depository Trust Company, The Ohio State University Foundation, The New York City Opera, The American Express Company, GRC International, Olivetti SpA, Société Générale de Belgique, Telecom Italia SpA, Presidential Life Corporation, Kroll, Inc., and L-3 Communications. He is presently a Director of Mount Sinai Hospital, Safe Auto Insurance, and Scientific Games Corporation.